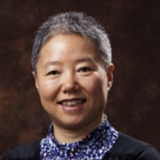 Dr Yali Cong is Professor in Bioethics, and Dean of the Department of Medical Ethics and Health Law, Peking University Health Science Center. She was trained on biology during undergraduate study in Beijing Normal University, and got her PhD degree in the Philosophy of Science and Technology in 1995 from Renmin University of China. She has been teaching medical ethics for clinical medical students for 20 years. She is also interested in Research Ethics, Global Public Health Ethics and Medical Professionalism. She has published a variety of papers in the field of Bioethics and works actively as PI in the areas of medical professionalism, human subject protection and medical ethics education. Professor Cong took up her position as PU IRB Chair in June 2010, and made efforts to lead in institutional capacity building and policy-making with regards to human subject protection at Peking University. She is team-leader of the working group assisting the Peking University Human Research Protection Program (PU HRPP). She has participated in some international organizations in this area, including being an ERB member of Médecins Sans Frontières (MSF, Doctors without Borders), and board member of IAB (International Association of Bioethics). Currently, She has been designated Chair of China Medical Ethics Association for 2019. Currently, she and her team are working on the ethics of big health data.